Tempe. Heritage homes and beautiful churches. The allure of the big city with the beauty of nature on your doorstep. These sights and more are at your door step so what’s holding you back? If the answer is back or neck pain then you need to turn to Sydney Wide Chiropractic who are committed to improving your mobility and vitality and creating the best version of you, happier and healthier. Effective Chiropractic care allows your central nervous system to function in the way it should, using the spine as a conduit for movement and mobility. However a fast paced and modern existence can interfere with your body’s ability to self-regulate and this can have a detrimental effect on your health and wellbeing. 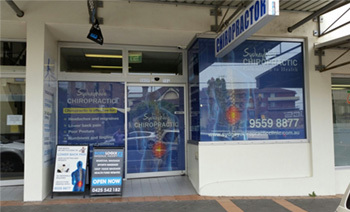 Here at Sydney Wide Chiropractic, the leading chiropractor in Tempe, we give you the support and assistance you deserve when it comes to your health, you need a chiropractic team that is experienced, friendly and reliable so why not choose the best? Choose Sydney Wide Chiropractic. We have been the pioneers in our field for the past 11 years and we completely understand how vital a fully functional nervous system is to your daily life. Which is why we are committed to providing safe and effective treatment modules that not only treat symptoms and restore vitality, but actively encourage self-healing and place the power of change firmly in your hands. The science of chiropractic care is straight forward, an imbalance in your spine can create pain and discomfort that goes beyond you but can prove detrimental to your family. However, our accredited and experienced treatment programs, provided by the leading chiropractor in Tempe, can solve the problems you may be having with your back and neck pain. So when it comes to your health you deserve the best? Reach out to us today and start living the life you deserve, no other healthcare is more vital for your vitality and no other chiropractor in Tempe can offer the solutions, backed with success, which we can. Call us now on (02) 9559 8877 and organise an appointment or email us at info@sydneychiropracticclinic.com.au.